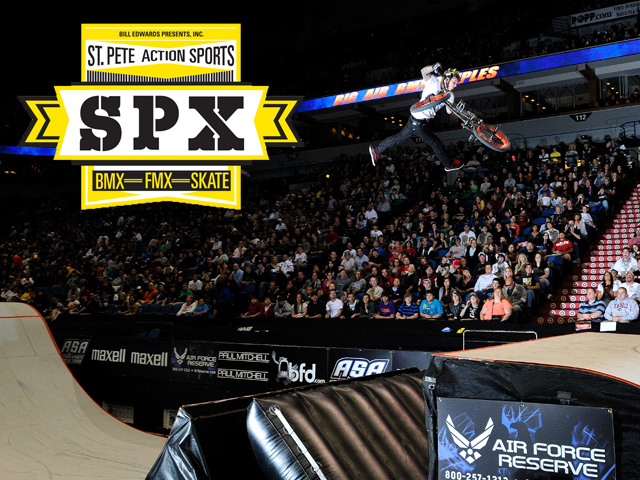 Click to watch highlights from SPX 2015 Big Air Triples! 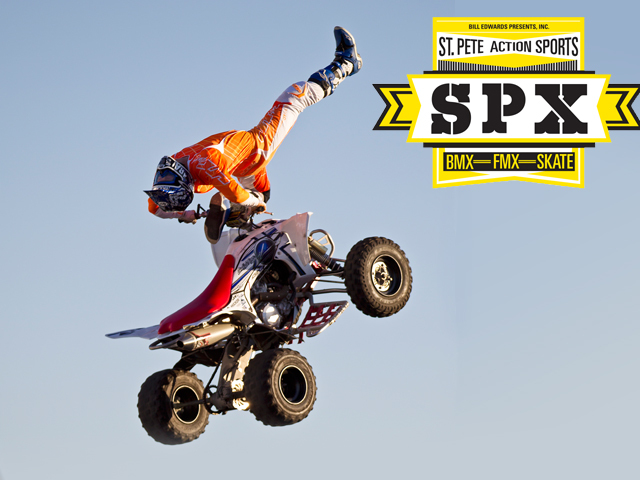 Don't miss the largest action sports event to hit the St. Pete area in over 15 years! Get your tickets now! 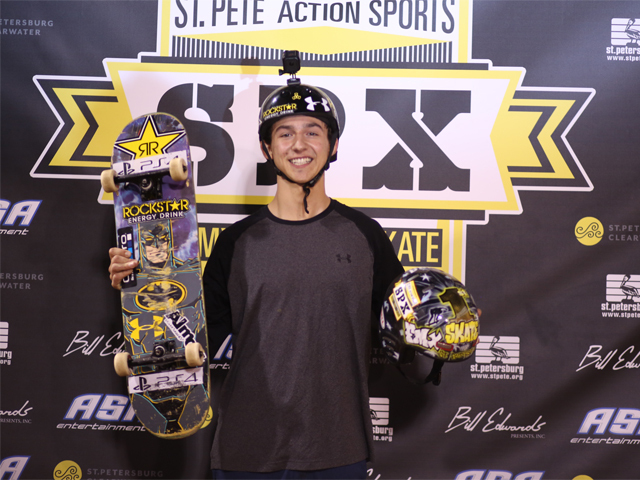 Top BMX athletes such as Ryan Nyquist, James Foster, Colton Satterfield, and Zack Warden will take on the ASA Big Air Triples ramp on December 4th and 5th! Click here to see the full roster. 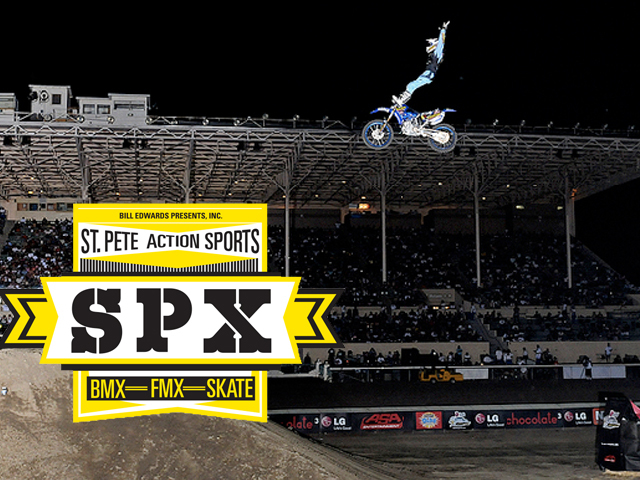 See the high flying action from the top FMX athletes from around the world! 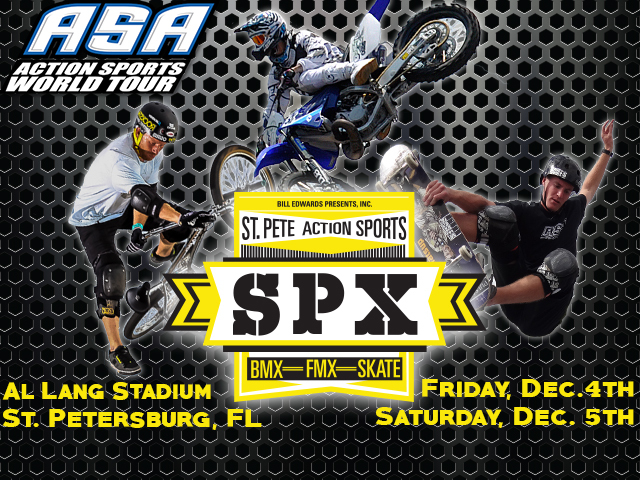 Mike Mason, Adam Jones, and Taka Higashino will be in St. Pete Dec. 4th and 5th! 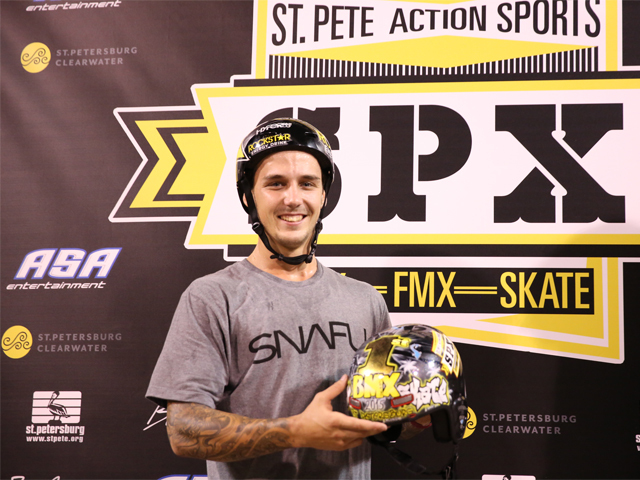 The best names in skateboarding will be in St. Pete for SPX! Andy Macdonald, Pierre-Luc Gagnon and Mitchie Brusco more!! 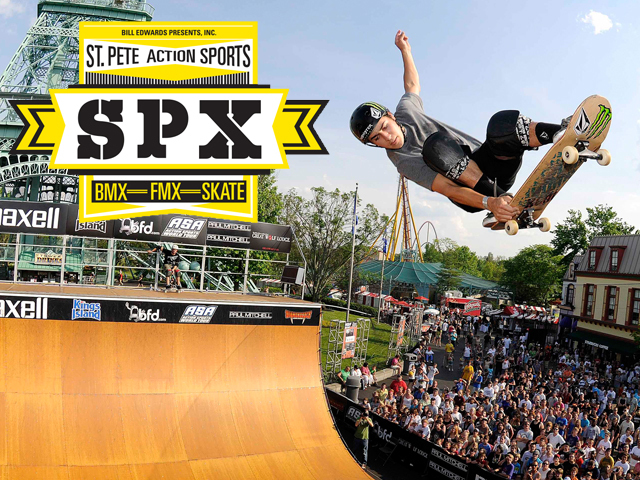 The ASA Action Sports World Tour will invade St. Petersburg, Florida for the first time with the world’s top Skateboard, BMX and Freestyle Motocross athletes from the X Games at Al Lang Stadium for a two-day event that features more than 50 pros on the worlds largest half-pipe and the legendary Big Air Triples ramp. 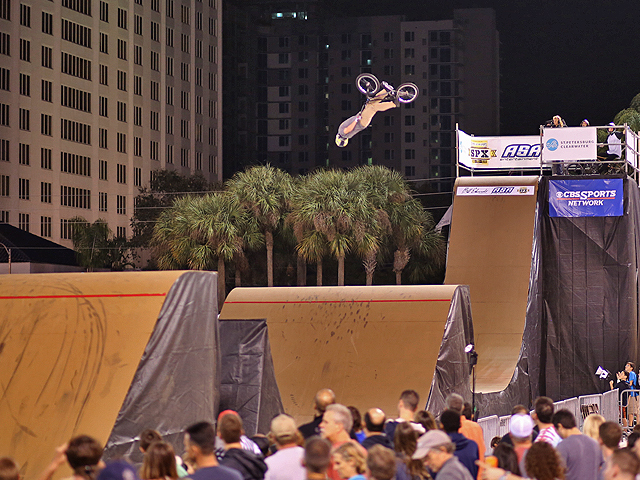 EACH TICKETED SESSION ON FRIDAY AND SATURDAY WILL INCLUDE MIND-BOGGLING COMPETITIONS IN SKATEBOARDING, BMX AND FREESTYLE MOTOCROSS, SO CATCH ALL THREE SPORTS LIVE FOR ONE LOW-PRICE! There is also a VIP Experience where fans will have the opportunity to meet the pro athletes, take pictures, get autographs and watch the pros practice (not to mention sit in the best seats in the house right next to the ramps)! !